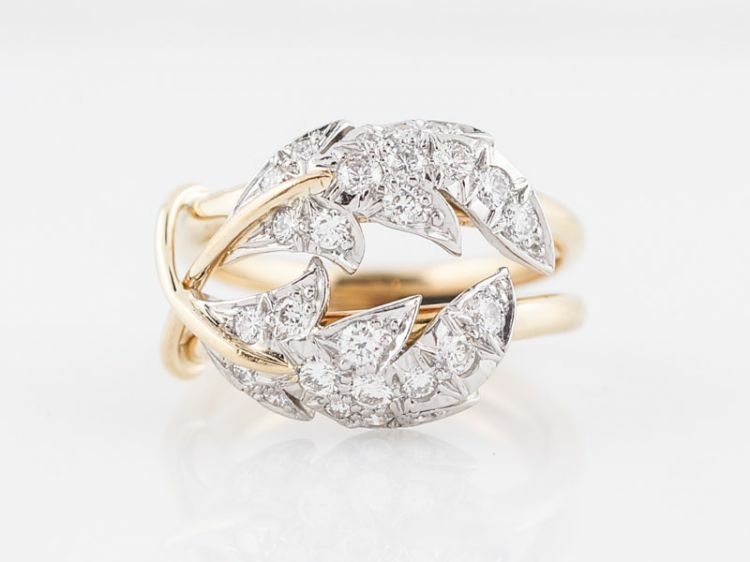 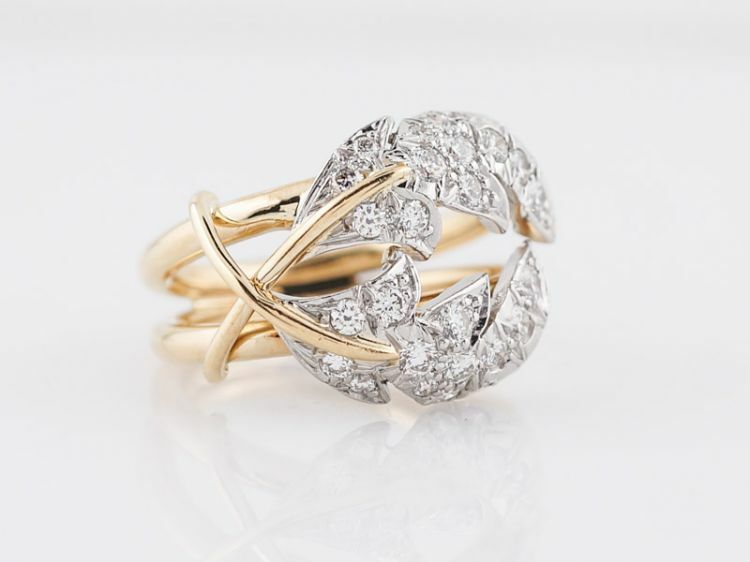 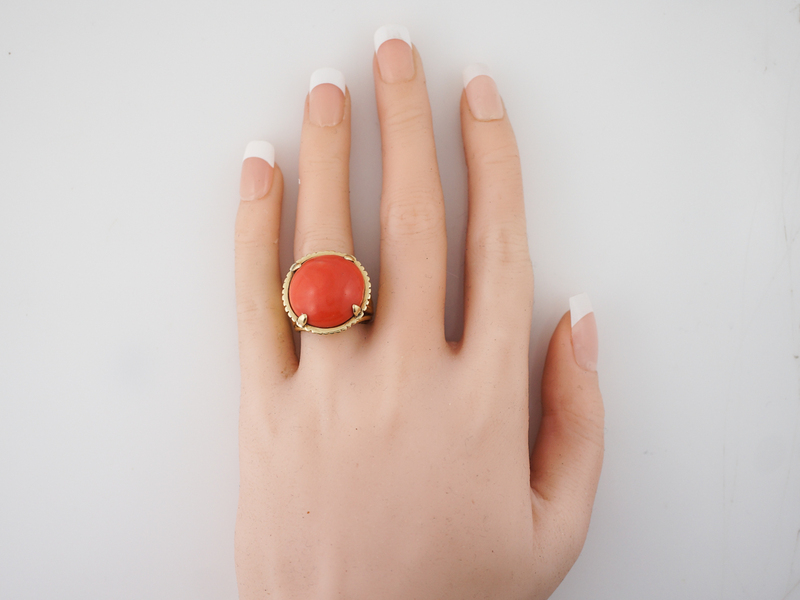 This vintage right hand ring from the mid-century era is beautifully bold and dramatic. 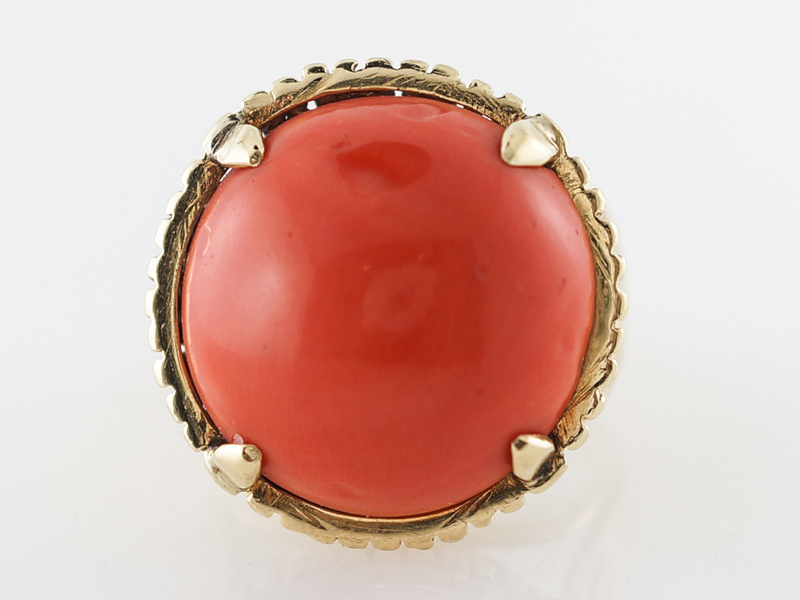 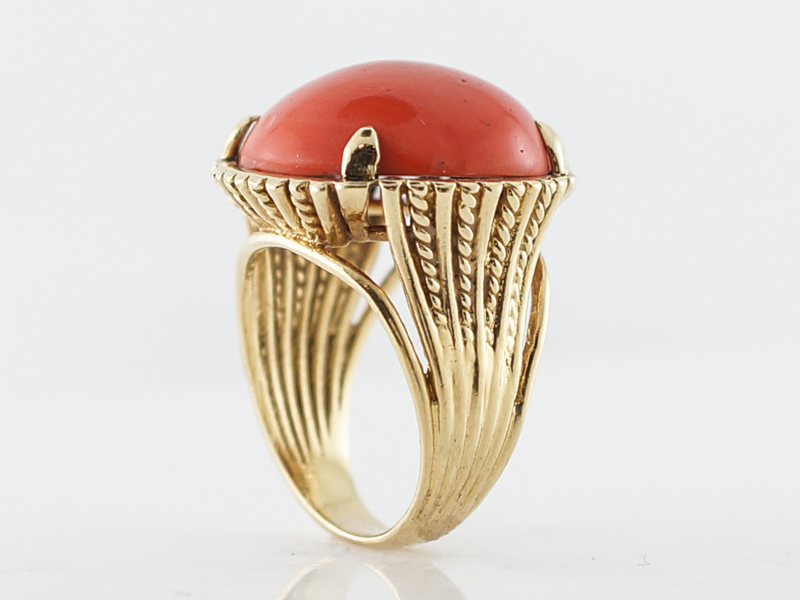 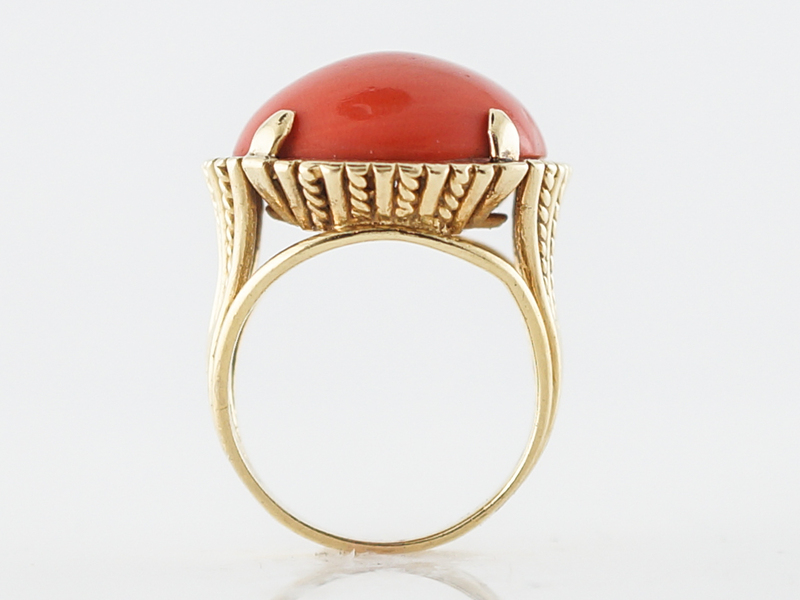 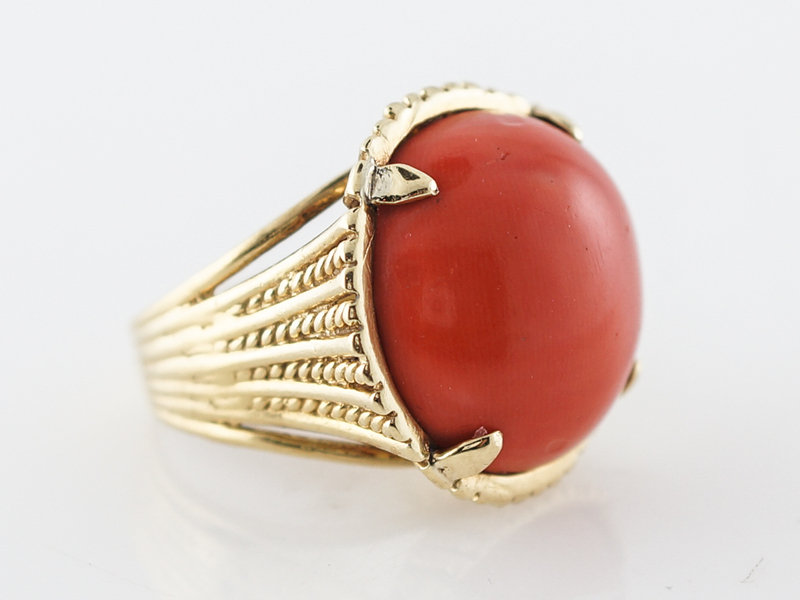 The mounting is crafted in 14k yellow gold and exhibits a remarkable piece of cabochon cut coral. 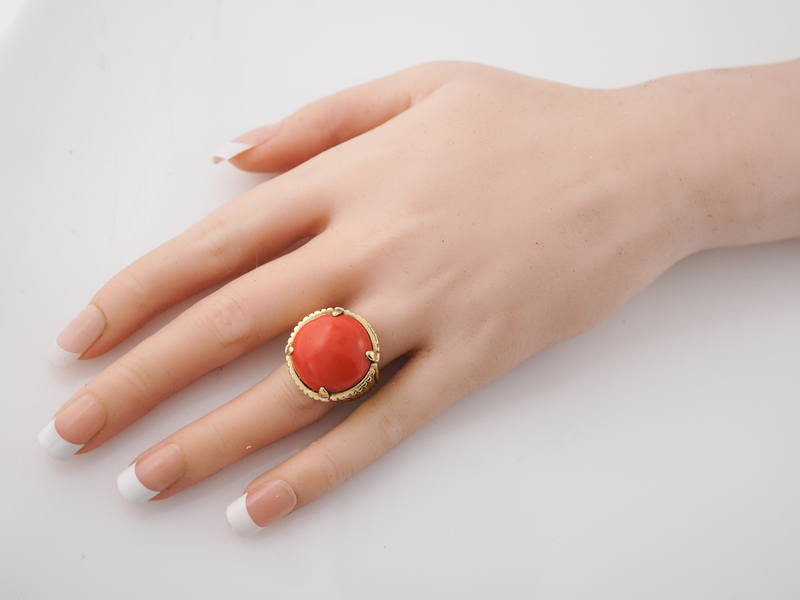 This ring includes engraving for added texture and lovely negative space. 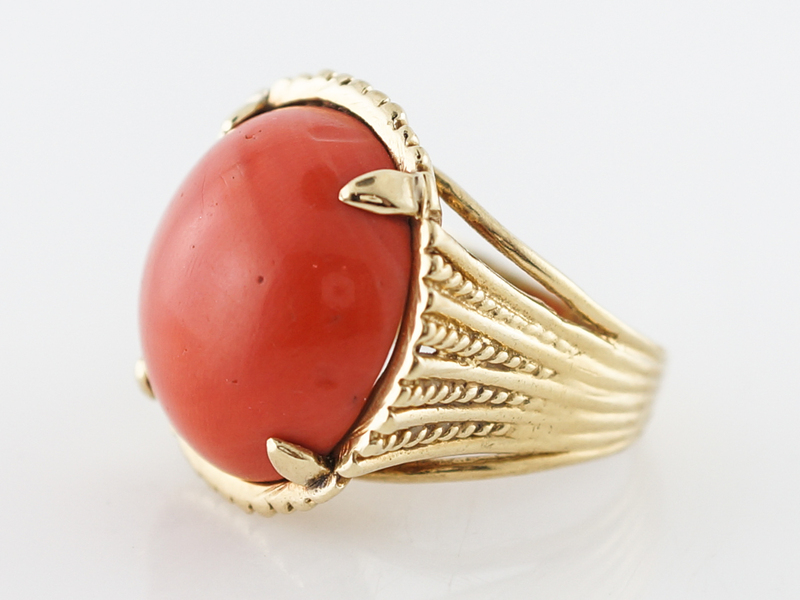 The yellow gold paired with the coral create an abundance of visual weight and warmth.